Happy April! Did you get fooled?! If you did I hope you had fun with it! Welcome back to our first What to do Weekend Party of April! Thank you all so much for your Participation in our party we enjoy you all so much! We love seeing what you are all up to and How creative you all are. There is simply nothing more Inspiring! Thank you for returning and sharing with us each week! A Huge Thank you for making last weeks Party our Largest Party, yet!! Let's keep spreading the word and growing together, shall we?! Linda and I have both been in the spring and Easter feel, as well!! So, what have we been up to? 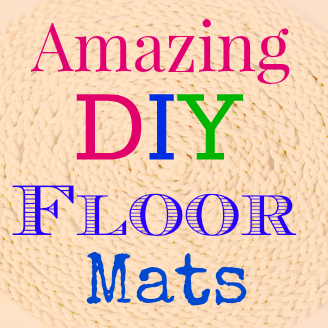 Well, Linda did an awesome Round up of great new Amazing DIY Floor Mat Ideas for all that you definitely want to check out! 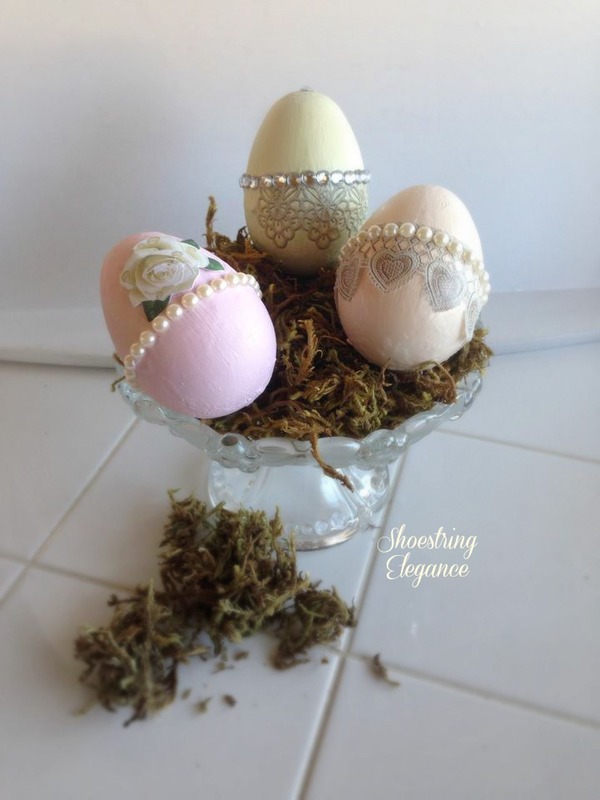 plastic eggs turned Chalkpaint Beautiful Eggs with some added bling! This week was a really tough one for us, so much talent and inspiration, we almost increased how many Features we would do! Thank you for your continued participation! If you are new to us, Welcome! Onto our picks for the week! 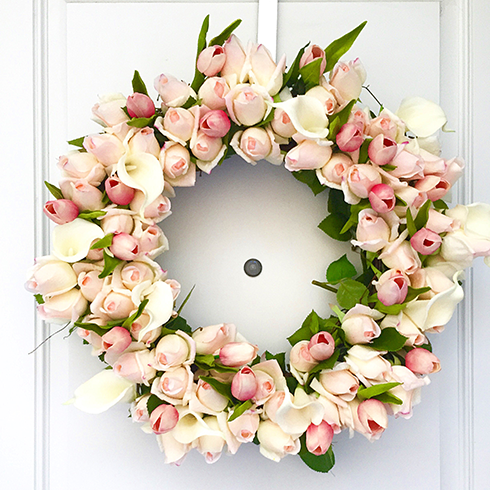 I absolutely fell in love with Ash and Crafts' Spring Rosebud Wreath!! I'm definitely going to try and recreate the beauty she achieved with this one. 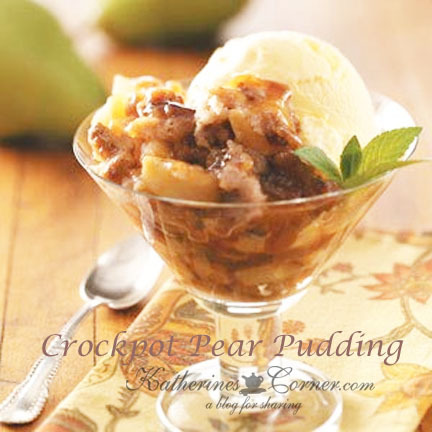 I cannot wait to try my hand at Katherine's recipe for Crockpot Pear Pudding! Doesn't this look yummy? Purple Hues and Me had me at first site of this absolutely adorable Spring Floral Arrangement! 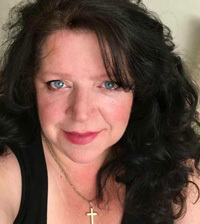 Now for Linda's picks this week! She absolutely loved Where the Smiles Have Been's Spring Easter Wreath, such alot of work that absolutely paid off! 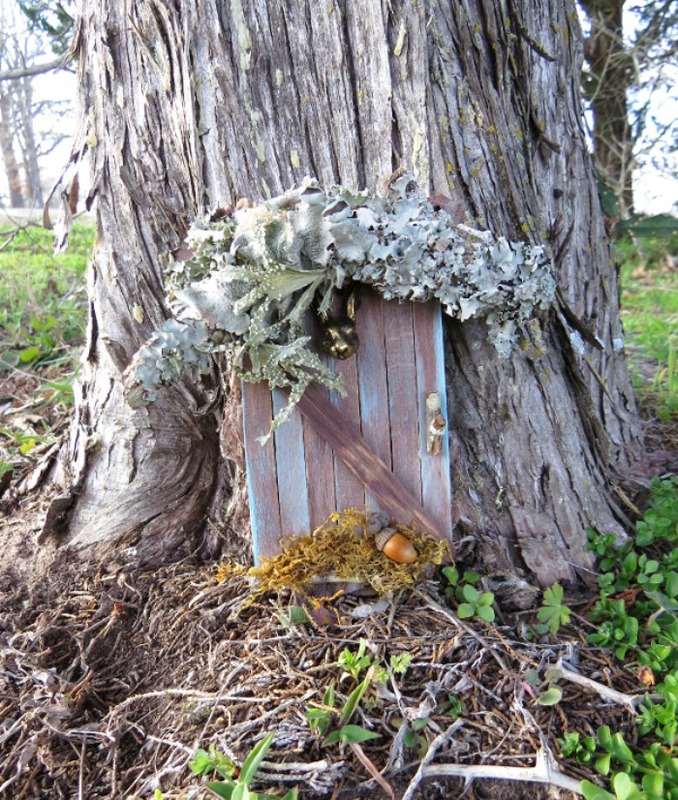 Then, if you have not seen Once Upon a Rambling Blog's adorable work, like this adorable and intricate Fairy's Door, you are really missing out. 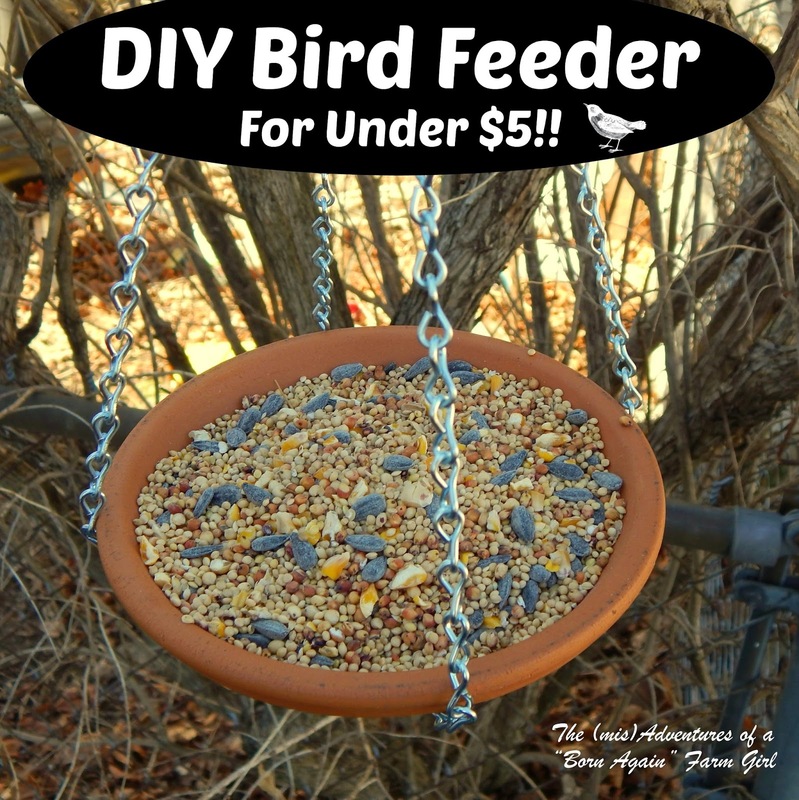 And, last of Linda's picks, but certainly not least is Born again Farmgirl's quite clever DIY Bird Feeder for under $5!! We love that!! And, once again, we decided we just had to do one more Bonus Feature!!! 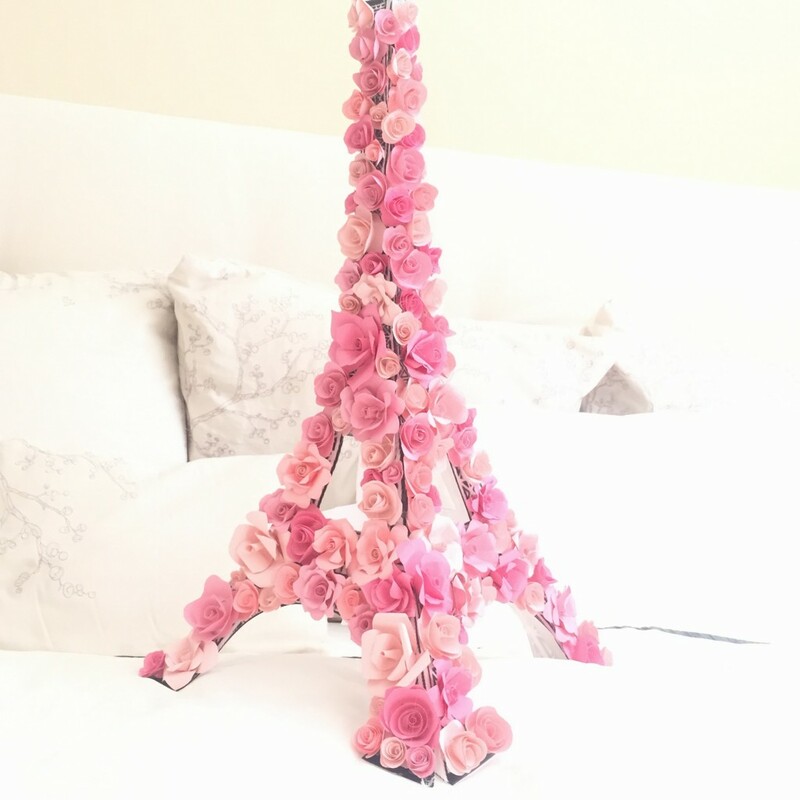 We were both SO in love with Ash and Crafts' Springtime in Paris project, we couldn't resist, very nicely done, Ashley!! Now it's your turn! Please feel free to link up your Family Friendly posts! Oh, Thank you so much, Joy! Happy Easter to you! Thank you for hosting the fun party! Lovely feature, beautiful spring flowers. Have a great weekend and Happy Easter! I LOVE this ladies and I would gladly participate...just wanted you Theresa to know it's just that I am not doing any creative things right now..I found a couple of DIY door mats I want to try!!! Thank you for the party. I hope you have a very Happy Easter! Elena, please come link them up to the Party! I'd love to have you share them here with us all! Thanks for coming over! I hope you'll visit often and join in the fun!